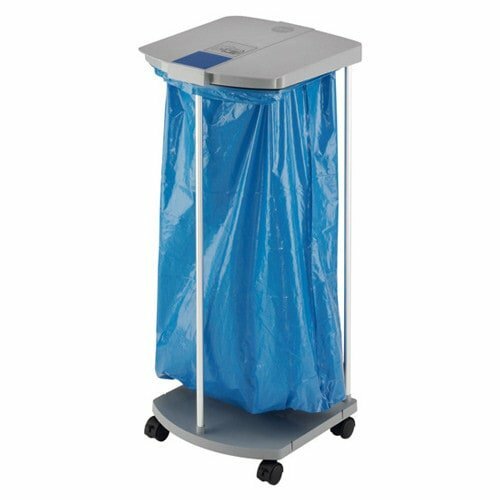 This large-volume garbage bag holder from Hailo can now be easily moved from one location to another due to its wheels, is suitable for all types of bin bags and rubbish bags and allows you to truly organise your waste separation for recycling. 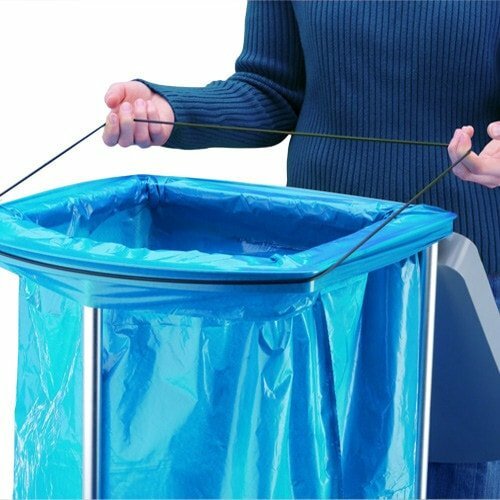 Clever design holds the bag in place: an integrated frame with a rubber ring easily secures the sack. Dimensions: 97cm x 43cm x 45cm (H x W x L).